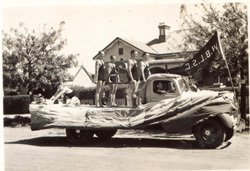 The Wagga Beach Life Saving Club (WBLSC) was an elite band of men which patrolled Wagga Bathing Beach for approximately 40 years. The club came officially into being on or about 24 July 1927. 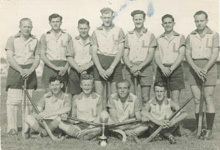 The club had been (unofficially) in existence since the early 1920s, but it was in 1927 that a second club, "The Badgers" joined with the lifesavers. The Badgers were a social footballers club and swimming was one of their activities. Wagga Wagga Amateur Swimming and Lifesaving Club, incorporating Wagga Beach Life Saving Club (14/9/53) from Badgers Life Saving Club (absorbed 24/7/27) and Wagga Amateur Swimming Club (absorbed 8/12/29) which grew out of the Wagga Amateur Life Saving Club - founded 17 October 1921. 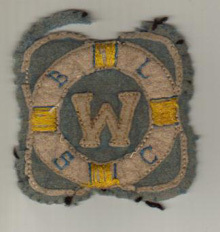 About two years later, on 8 December 1929, the WBLSC absorbed another club - the Wagga Amateur Swimming Club. 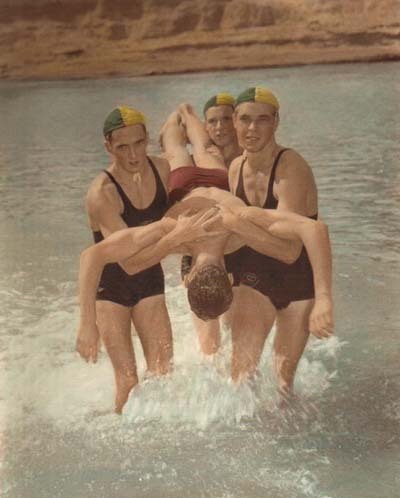 Now firmly entrenched and with almost 50 members all of whom were competent swimmers the Club began regular patrols of the local beach. Such notable names as Matt Gaffney (the undisputed king of competitive swimming in the Riverina during the 1920s), Ted Reeves, Jack Robertson, Les Bullock and Neville Hoare were members. The Club's patron was none other than E.E. Collins, one of Wagga's most influential citizens of the time who served a record 13 times as Mayor. In the early 1930s, clubrooms comprising a corrugated iron shed with locker and shower facilities were erected. Funds for the project were raised through a public appeal started by a local businessman whose daughter had been saved by a patrolman from the Club. From then on, until the outbreak of World War II, the Club gained in strength gaining both new members and prestige. It is notable that throughout the Club's history not one person drowned while Club patrolmen were on duty. A Women's Beach Life Saving Club was formed during the war when the ranks of male lifesavers were depleted through enlistments. The years following the war were crucial for the Club. From the early 1950s, the Club found it increasingly difficult to attract enough patrolmen to cover the beach area. 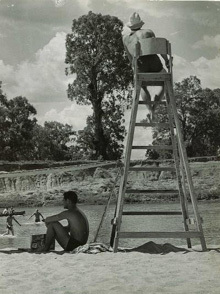 Contemporary newspaper articles frequently reported that Wagga Beach may have to be closed due to the shortage. 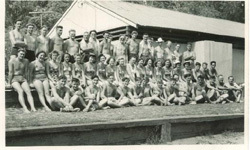 On 15 September 1953 a meeting was held at which the Club's name was changed from the Wagga Beach Life Saving Club to the Wagga Amateur Swimming and Life Saving Club. The reason for the name change was the construction of the Morgan Street swimming pool where the Club's new headquarters were established. The Club continued as a viable concern throughout the 1960s before officially disbanding in December 1971, just short of its 50th birthday. Attempts were made in 1973 to reform the Club. These met with failure due to a lack of qualified patrolmen. Former members of the WBLSC still hold regular reunions in Wagga Wagga. All that remains today of the Wagga Beach Life Saving Club is the incorporation of their name into the existing Wagga Swimming Club squads, which are still based at the pool in Morgan Street - now the Oasis Aquatic Centre. The Museum of the Riverina has a small, but nationally significant collection of memorabilia relating to the Wagga Beach Life Saving Club. This includes the Edwardian period gate pylons from the Wagga Bathing Beach, a WBLSC swimsuit (c. 1940s), badges, medals, trophies, a blazer, the Club's lifesaving reel (pictured above centre) and photographs.